There are bright prospects ahead for renewable energy access on the African continent. Solar technology is increasingly affordable and durable, and diverse global actors are unifying to push for more and better financing of clean energy distribution. Solar is one of the fastest growing renewable energy sources, beyond wind and water, and distributed renewable energy could mean that energy poor rural areas will have reliable and affordable power without the costly infrastructure of the centralised electrical grid. The need, however, is huge and nowhere more so than in rural sub Saharan Africa, where just 9% of people have a grid connection. The hardest to reach are “last-mile” communities — geographically remote, off-grid and often low-income, where a monetary return on investment is either not guaranteed or not at the same scale as more immediately lucrative higher density and easily serviceable urban centers. However, reaching the last-mile is essential and it cannot be achieved without intentional and meaningful investment in local women. 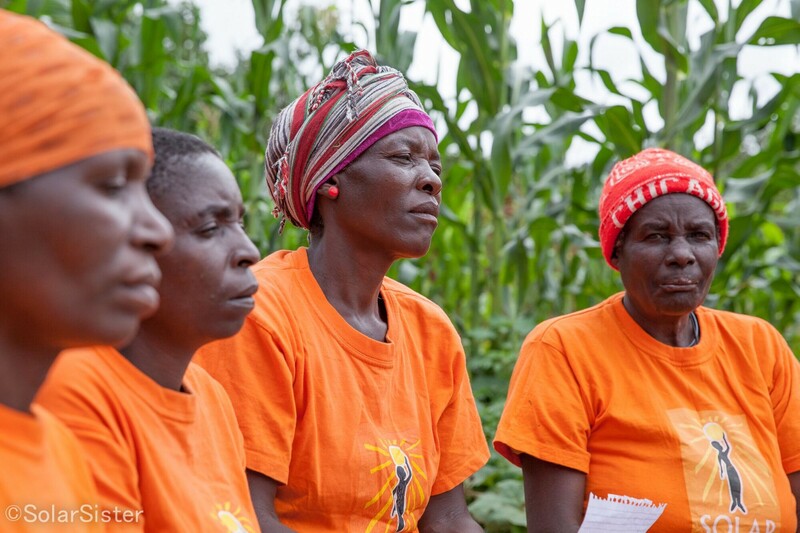 Isabella Mgaya is a mother, a grandmother, a farmer and a solar entrepreneur. She lives in Maduma village, a community of a few thousand people two hours’ drive from the regional capital, Iringa, in Tanzania. Here the soil is rich and red and people farm potatoes, yams, maize and sunflowers. Electricity lines officially arrived just last month in Maduma thanks to Tanzania’s Rural Energy Agency, to which a few people have connected. But the village centre, with party flagpole, a pub and a few shops, where many gather in the evening, remains off-grid and dark except for a few points of light. One shop is lit by a battery-powered torch. Another is lit by two small round solar lights. And in the pub where young men crowd around the local brew, there’s another solar light hanging on the wall. Down the path, a home is lit by two solar lights — one in the kitchen as the family cooks and one outside in the compound. 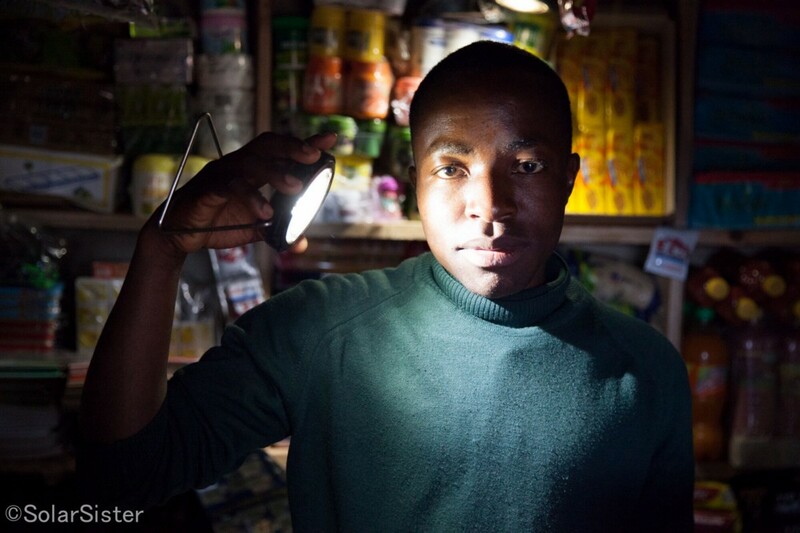 “I bought this [solar] light and I love it! It helps to attract customers because it’s a bright light and I don’t have to buy batteries anymore,” says Prisca, a young woman who runs a business selling snacks for pub customers. This is the result of Isabella’s enterprise. And this is how you reach last-mile communities. The technology of course is key and financing to get many more quality products to rural areas is essential. But in reaching last-mile communities, the human element is just as important. And women, who manage energy in the household, farm, raise children and often run small enterprises too, are amazing local salespeople and solar ambassadors. To convince people in low-income rural communities to part with the little money they have for a new and strange product requires trust in the vendor, local expertise and provision of post-sales services. It is therefore no coincidence that women entrepreneurs are succeeding in rural communities like Maduma. 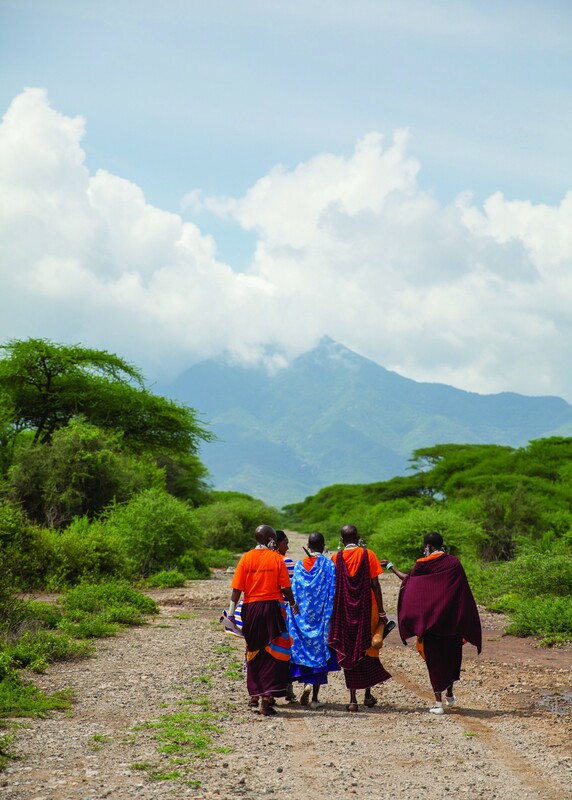 In order to reach last-mile communities, local women must be part of the equation. 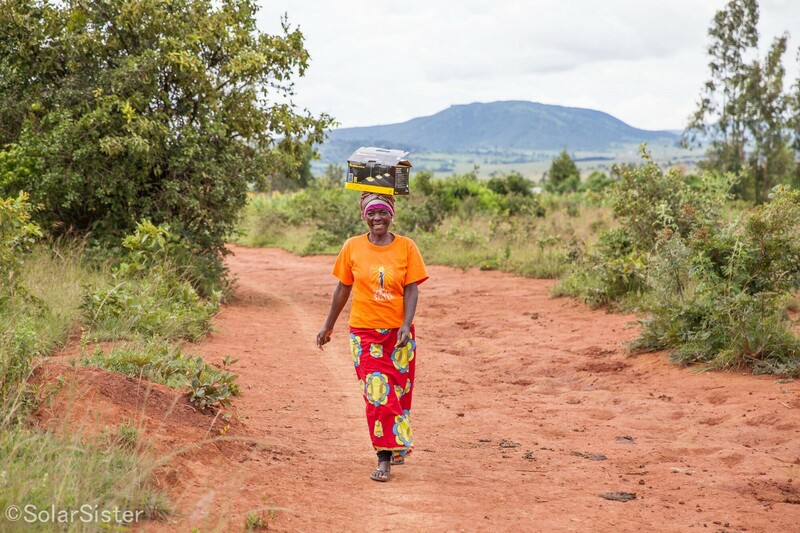 In fact, a study by MIT’s Comprehensive Initiative on Technology Evaluation examining last-mile customer preferences in Tanzania, found that the local human element is key to persuading people to buy quality solar products. Customers prioritised knowing and trusting the vendor, and also having access to services after they bought the solar product. Selling clean energy in last-mile communities is not easy. Local markets are flooded with cheaper, poor quality solar products, transport is costly, infrastructure is poor, villages are far apart, and communities like Maduma lack consumer knowledge about solar technology. This is where extra inputs and support are needed to grow successful businesses. Many people in last-mile communities balk at the relatively high price and would rather stick to what they know, buying batteries or cheap generic solar products over and over. This is where local knowledge and women’s enterprise comes in. 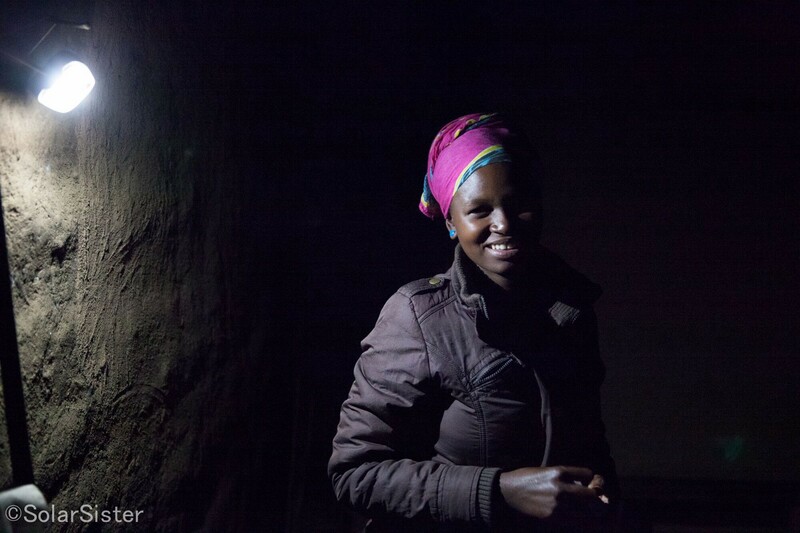 Isabella, who lives in a traditional thatch roof home, has installed a 3-lamp home lighting system that also charges mobile phones. She sometimes charges phones for a small fee as a way to bring in extra income. For Solar Sister and so many others working at the frontlines of energy poverty, this investment in local human capacity and specifically in women’s enterprise, not just technology and finance, is an essential part of reaching the goal of Sustainable Energy For All by 2030. 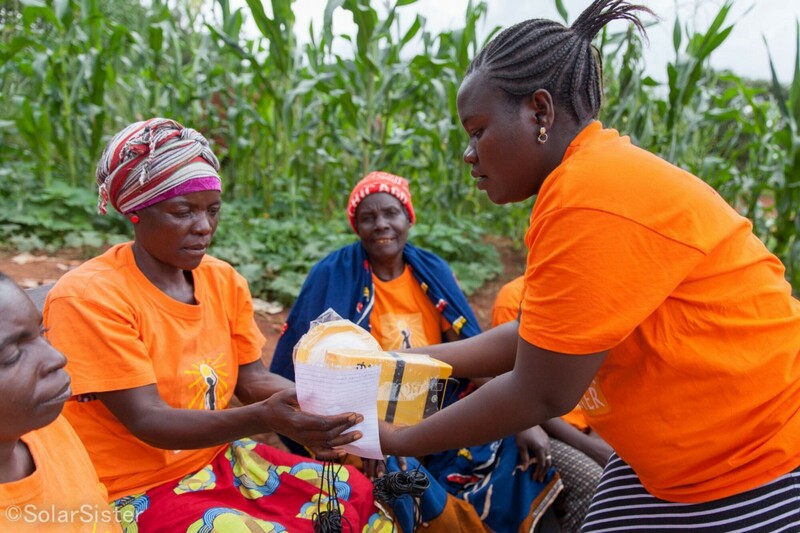 This is why Solar Sister continues to invest in training and supporting local women to sell clean energy products in last-mile communities. Our experience shows that opening up remote, low-income markets is challenging but possible with the right package of training, resources and support. 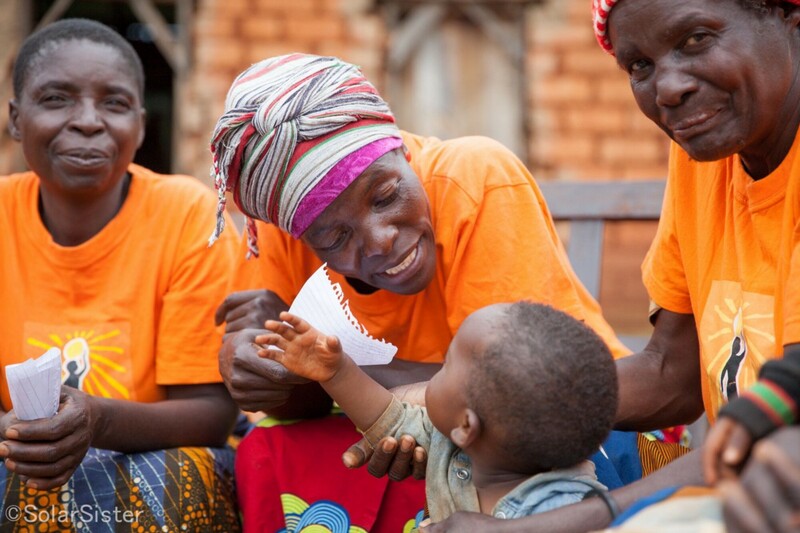 By supporting women entrepreneurs, we help them to reinvest in the wellbeing of their families and their communities. For Isabella, the benefits are clear. And for her customers, the investment in solar has paid off. There is much more work to be done if we are to reach last-mile communities at scale. The call to leave no one behind requires investment in both technology and in women-driven local sales and support networks which are essential to spreading clean energy to hundreds of millions of Africans in remote areas.